Suzy, my thoughts and prayers are with you and your family at this time. I first came across Thomas Szasz rather late in my life, with his book "Ceremonial Chemistry"; and I never looked back. There is so much I owe this great luminary and champion of human dignity and freedom, but suffice it say, that I feel myself a better human being, both humbled and personally empowered by a man who never compromised his higher principles. RIP, good Doctor. My heart has broken at the loss of my friend, mentor, and great contributor to the world. He will be missed, by so many, and I will remember Tom for all he was to me, as a professional fighting his fight, and as his friend. My deepest condolences to his daughters and families, and all who know the world will be a bit less bright for his absence. May he rest in peace. He deserves that. 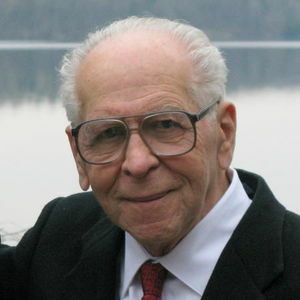 As the tornadoes came and went this past weekend, the great and under-appreciated spirit of Thomas Szasz MD also left the world (1920-2012). My dearest condolences to the family and close friends of Dr. Szasz. May you be comforted in knowing that his legacy as co-founder of the Citizens Commission on Human Rights not only lives on, but grows stronger and continues to save lives. His professional work greatly enriched not only our Syracuse community but has had a global impact. Where there is darkness, CCHR is bringing light. CCHR's annual candlelight vigil in memory of Gabriel Myers is proof of that. God Bless. True lights of science never really go away, he maybe gone in his physical form, but, his ideas will keep on. rest in peace dr. szasz - i will greatly miss you - it is up to us now to carry on your torch. Dear Suzy and Margot, We are very sad to hear of your Dad's death. He was always so nice to me when I spent time at your house when we were young. He had a wonderful life and he will certainly be remembered by people around the world. We will keep you and your Dad in our prayers.